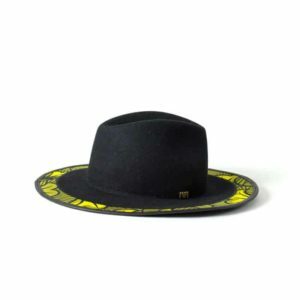 BlackHats Paris represents the union of the craftsmanship of the french imprimé of an African heritage. 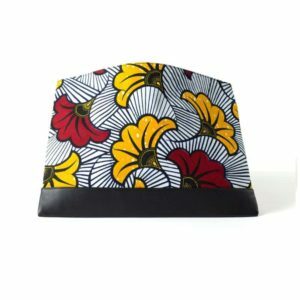 These accessories endowed with a very special finish for men and women are hand made in France and combined with Wax, this fabric popular in Africa. The Wax process consists of applying wax to a cotton cloth using two copper rollers on which the basic patterns are engraved and then dipping it in a stain to the indigo. 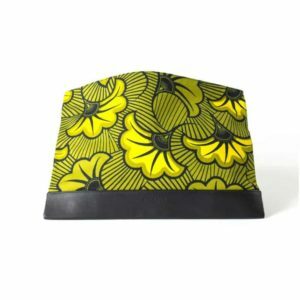 This printing technique allows the wax to be as bright on both sides of the front and back. It does not fade and the colours have an exceptional hold. Steves Hounkponou combines urban styles and ethnic influences inspired by the Wax, as his mother is a “mother Benz”. 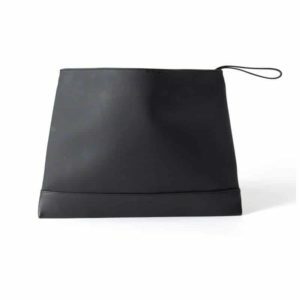 Its creations have minimalists lines, allowing the Wax fabric to perfectly match the taurillon leather finishes. 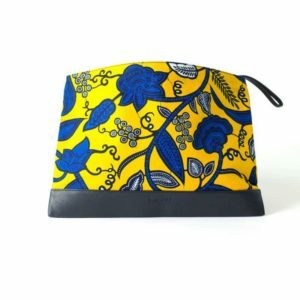 Part of the profits from the sales are donated to Flora Coquerel’s association, Kelina. Created in 2014, it works to educate and integrate women and girls into the workplace and fight inequality between men and women. The BHP creations all have leather finishes from the largest tanneries in the french mine tanning then retanning then vegetal retanning give them both resistance and onctuosite. Creations are meticulously handcrafted by craftsmen of experience. 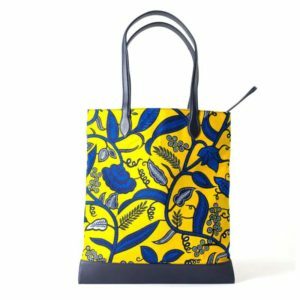 Thus the tote-bags and pouches are fashioned in the purest french tradition of leather goods. The Parisian workshop of BlackHats Paris has more than 50 years of experience in the manufacture of high quality accessories. 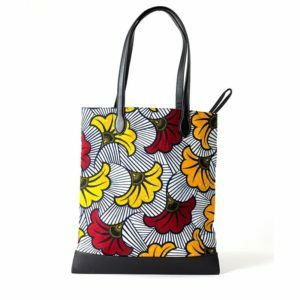 70% of the fabrics are sourced in Benin, notably at the Dantokpa market, where the creator’s mother has been a leader in the distribution of Wax for over 57 years. It is only natural that the designer has taken over and modernised these fabrics in luxury fashion. The BlackHats Paris collection is now made up of hats but also bags, pockets and card holders in leather and wax. 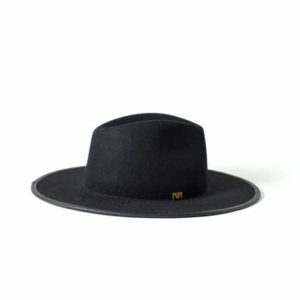 All BlackHats products are manufactured in France (in Paris,, in the Marais). 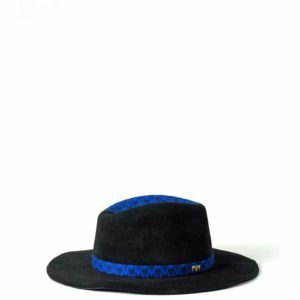 BlackHats likes associations and hats are created with the Minime Paris brand. Steves is constantly looking for new creators with whom he can share his know-how and ideas. The brand is growing rapidly but the three partners want to go step by step. First of all, their objective is to expand their leather goods collection. “Our ambition is to become the experts in leather goods, at least with wax,” Steves tells us. 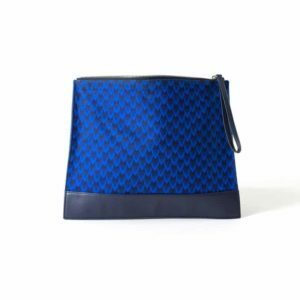 The brand is distributed in Paris at the Front de Mode, at Atelier Meraki, but it is also present in Japan and Spain in concept stores. In addition, BlackHats also had its pop-up in Spring at the beginning of September during the launch of the brand.